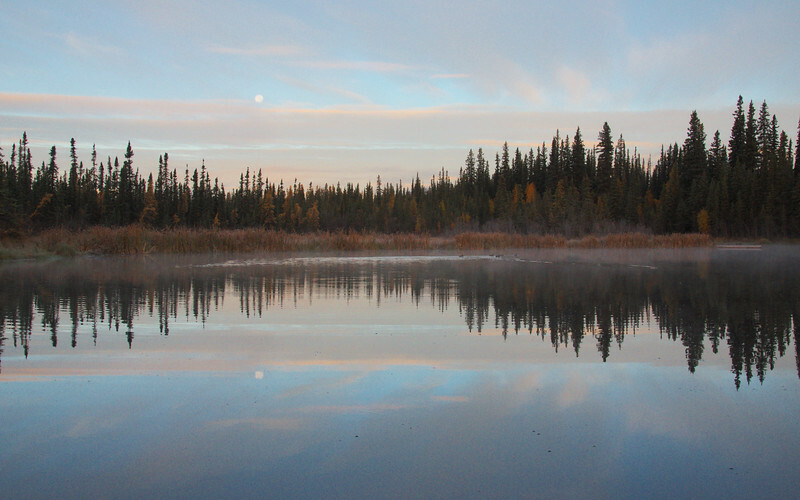 The moon setting over Ballaine Lake. Kate was driving me in to work, when I saw this I asked her to let me out of the car. I walked to work on the trails.